Before you integrate ShipBob, please make sure all SKUs are standardized across channels. If you have different SKU names in ShipBob you can change them in your ShipBob account. 1. Create a ShipBob Account. 2. Ask our Zentail support team to add ShipBob to your Zentail account. 3. Copy your ShipBob Access Token and Paste it in the "Access Token" field in the ShipBob card in your Zentail Integrations. 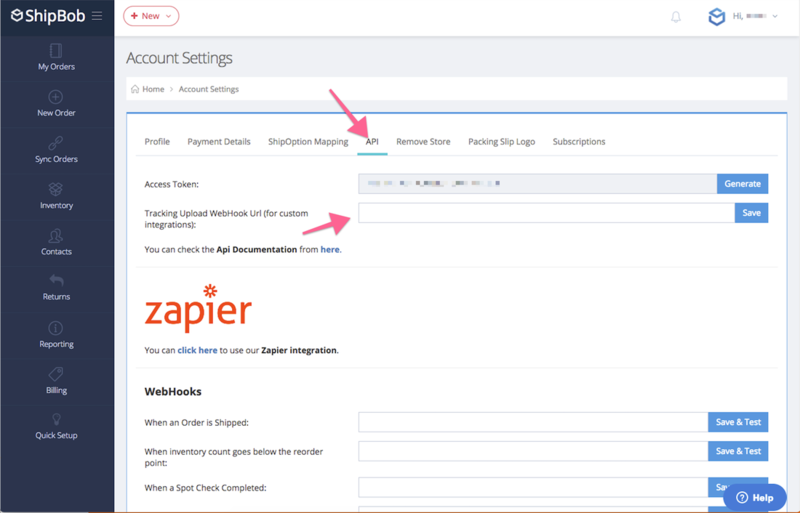 In your ShipBob Account, the Access Token can be found under Account Settings => API tab. 3. Enter the link in the Tracking Upload Webhook URL field in your ShipBob account.